Let former NRL star Mark Tookey show you how simple brain health can be from the comfort of your own home. Former NRL player Mark Tookey and World Obstacle champion Laura Newton discuss the importance of maintaining an active lifestyle to optimise the health of your brain. Dementia Australia (Qld) CEO Victoria Beedle outlines aspects of everyday living that can enhance brain health for all Queenslanders. Ita Buttrose, former Dementia Australia National President, welcomes you to Australia's first brain health program 'Your Brain Matters'. 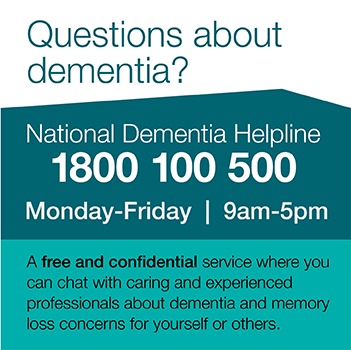 Dementia Australia's Your Brain Matters program is based on scientific evidence that a number of health and lifestyle factors that we can all do something about are associated with brain function and the risk of developing dementia. The brain changes that cause dementia begin many years before any symptoms appear. The evidence suggests that midlife is a critical time to think about looking after your brain, body and heart. It is never too late to make changes that will improve your brain health. For more information visit yourbrainmatters.org.au.